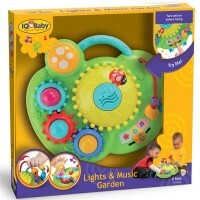 Turn on this cool lights and sound drum set for tots, choose song and jam along! 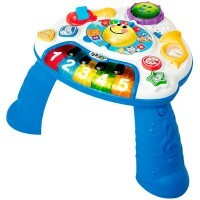 Even toddlers can beat the rhythm on their own tap drums! Little Baby Bongo Drums Light & Sound Toy for Toddlers features soft to touch tap drums with light and sound effects. 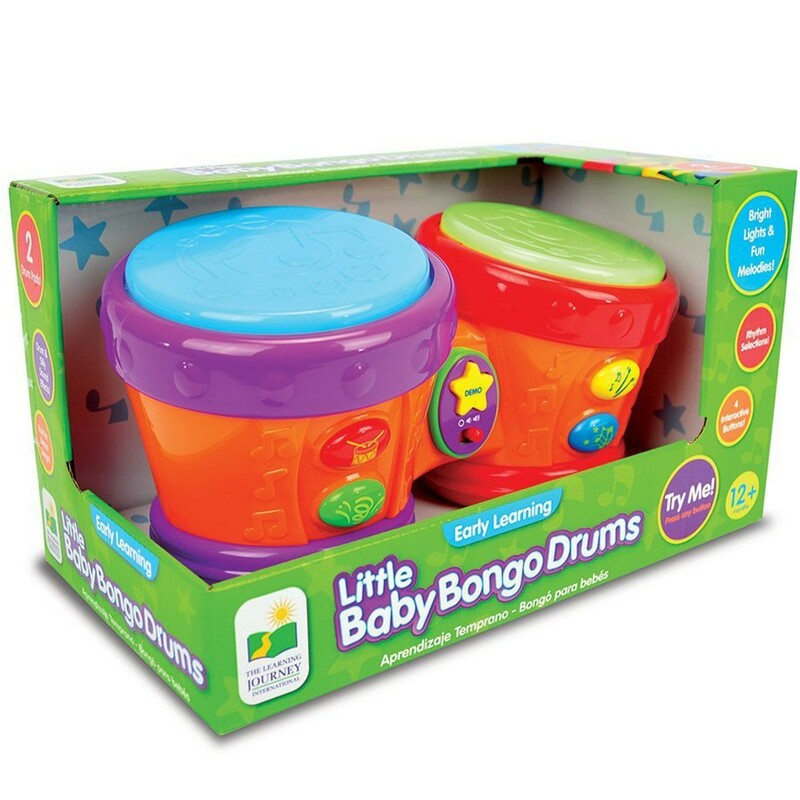 Tap each bongo drum and listen to different drum sound. Add melody and jam along with fun rhythms. This tap drum play set includes rhythm sections, built-in demo songs, and great sound effects. 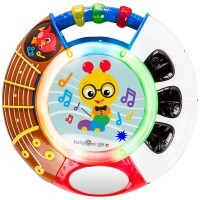 This Learning Journeys' drum set flashes colorful lights as your little drummer makes his musical noise. 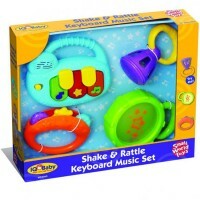 This tot musical set from Educational Toys Planet features on/off button for parents' relief. 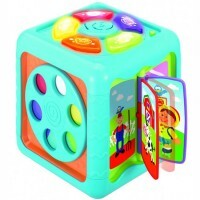 This music making toy promotes cognitive development and imaginative fun. 3 AA batteries required (included). 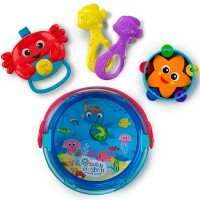 Dimensions of package 6.25" x 11" x 6.25"
Write your own review of Little Baby Bongo Drums Light & Sound Toy for Toddlers. Rating: 5 Grandson loves it! 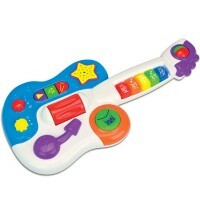 by By A customer Got this for my grandson so he can play along on his own guitar with his Opa! 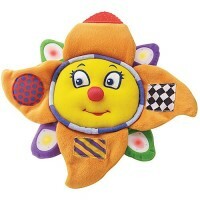 Rating: 5 Cute, colorful by By A customer My baby loves this toy. Rating: 5 Perfect gift by By A customer The perfect gift for our 1 year old niece. It's not to load so it won't annoyed you quickly like a lot of musical toys. Rating: 5 His first choice in his toy box by By A customer He loves it. Rating: 5 1st guitar for my 1 yr old grandson! 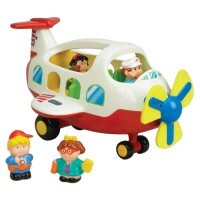 by By A customer My 1 yr grandson lives it - his fav gift on his bday!